Welcome to Dear Melissa, where I answer your questions about transitioning into or completing a Whole30, successfully sticking to your new Food Freedom habits, and figuring out how to make this lifestyle work in the real world. Today, we’re helping a guy who feels so awesome after his Whole30, he’s not sure he event wants to reintroduce anything back into his diet. I totally understand where you are coming from. After the Whole30, some people know exactly what they’ve been missing and want to dive into reintroduction ASAP, to know whether some of their favorite foods will still be “worth it.” Others aren’t missing any food as much as they are loving how wonderful they feel, and they’re hesitant to change anything for fear it’s going to knock them off their game. Note, there’s a difference between being afraid to change anything, and not feeling the need to change anything. The former (being afraid) is not our intention. The Whole30 is designed to teach you how foods interact with your unique body and brain, so you can take that information out into the real world and apply it in a fully sustainable fashion—riding your own bike, as we call it. To stay on the Whole30 indefinitely out of fear is missing the whole point of our program. Is the idea of eating a small piece of your Mom’s once-a-year holiday dessert (your favorite food ever) giving you anxiety? Do you really want to reintroduce something you’ve been missing (cream in your coffee, hot buttered popcorn on movie night, or a glass of wine on date night) but you just won’t let yourself? Do you feel lost, without a sustainable plan for eating in the real world, because you’re not really on the Whole30, but you won’t really come off it, either? If this is your story, then hold on the rest of this advice and read the above-referenced Ride Your Own Bike article first. You need to get over that fear, because it’s holding up your progress! You’ll never find a healthy, balanced, sustainable way to eat—a way that works for you—if you blindly follow our rules for the rest of your life. We understand your hesitance to (potentially) sacrifice some of the awesomeness you’re feeling right now for a few bites of ice cream—so let’s talk about a more conservative plan to reintroduce foods mindfully, while still using our reintroduction schedule as a template. First, to give yourself a little breathing room, relax on the “no added sugar” rule. This doesn’t mean you’re eating cupcakes washed down with energy drinks, but if you want some maple chicken sausage, bacon with your eggs, ketchup on your burger, or the vinaigrette dressing that comes with your restaurant salad, go right ahead. Note that we’re not actually changing your diet much here—you were already eating meat, condiments, and salads with dressing on the Whole30. We’re just broadening your choices a bit, in a way that is unlikely to send you running for the nearest donut shop. Whew. That already feels a little more sustainable, doesn’t it? Note, if there are some foods you suspect (or know) will be “triggers” for your Sugar Dragon, don’t slack on the no added sugar rule with them. Sweetened nut butters, coconut butters, dark chocolate, or coffee creamers may lead you down the path of “food with no brakes” in a flash. Next, you’re going to follow the general reintroduction schedule and order, but you’re not going to eat things you don’t really, really want to eat. Just because it’s Day 31 doesn’t mean you have to have a legume-filled day. If you wake up and don’t feel like eating beans, tofu, or peanut butter, then don’t! If your “relaxed Whole30” is working great for you and nothing is calling your name, then there is no reason to change anything. However, the day will come when the idea of something bean-y sounds really delicious. When that happens, you reintroduce. Enjoy the soy sauce at sushi, slather some peanut butter on your celery, or add some black beans to your deconstructed taco salad. (Or do all three!) The point is that you decided this could be worth it—not that our reintroduction schedule said you had to. Next step: prepare yourself for some potentially not-so-awesomeness. There’s a chance that what you chose to introduce will knock you off your Tiger Blood high—but we’ve got you covered, so if it happens, don’t panic. Remember, part of the reintroduction is to return to 100% strict (including no added sugar) Whole30 eating for the next two days, so you can evaluation the results of your experiment. So even if you get digestive distress, your tummy bloats, your migraines return, or your energy tanks, you’ve got the next two days to do a mini-reset and get back to Whole30 awesomeness. The important part? Take longer if you need it. There’s nothing that says you have to do your reintroduction in just 10 days. If your legume experiment went horribly wrong and you feel like you really need extra time to get your Tiger Blood back online, take it! Five days, a week, ten days… what’s important is that you only reintroduce one food group at a time, and that you allow yourself enough time between food groups to be able to effectively evaluate each of the independently. And if you decide to take longer than two days between reintroduction groups, feel free to go back to a “relaxed Whole30,” if that was working for you. So, you’re back on the Whole30 for a few days (or more), and then you keep your eyes peeled for some kind of non-gluten grain calling your name. If some popcorn during your movie sounds delicious, you want a corn tortilla with your fajita, or you’re dying for a rice-wrapped sushi roll, go for it whenever you’re ready. Wash, rinse, repeat with dairy and gluten-grains. Get it? Finally, an important point, and something that trips up many Whole30’ers during their reintroduction. If at any point, you start to feel out of control (like what you’ve reintroduced woke up your Sugar Dragon), get back on the Whole30 for as long as it takes to stabilize. This is most common with the reintroduction of sugary foods or gluten grains—eating muffins, chocolate, “dessert,” or bread again can make some people rabid with desire for processed carbs and sugar again. So be on the lookout for cravings rearing their ugly heads, and halt that process before it takes over your brain by returning to a strict Whole30. Does this advice sound a little… extreme? Like, really, will I feel out of control after just a day of off-plan food? Yeah, you might. And we take sugar and carb-addiction very seriously around here so please, listen to us, and don’t feel like a failure if you have to jump back on the Whole30 for a few days to calm things down. You’re actually succeeding, because you’re not afraid to do the best thing for you, your long-term health, and relationship with food. Winning! 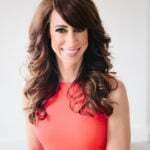 Melissa Hartwig is a Certified Sports Nutritionist, and the author of the New York Times bestselling books It Starts With Food and The Whole30: The 30-Day Guide to Total Health and Food Freedom; and the upcoming Food Freedom Forever. She has been featured in the Wall Street Journal, Details, Outside, SELF, and Shape as the co-founder of the Whole30 program. Melissa lives in Salt Lake City, UT.